Jonna Tamases began producing as the fastest means of getting her work to audiences. She started with sketch comedy and theater, including the stage play of Jonna’s Body, Please Hold, which ran for 7 weeks at LA’s Odyssey Theater, garnered rave reviews, and was nominated for two Los Angeles Ovation Awards: Best World Premiere Play and Best Lead Actress. Through her company, Mad Lively, she began producing films with the short Yes (which she wrote and starred in as well), the story of a lonely woman who goes on a dark adventure when she starts saying Yes, literally, to everything. It will soon begin its festival tour. Future projects include The C-Note and Helmut and Giselle Saves a Bug, both based on Jonna’s hit comedy sketches. Currently residing in Los Angeles, Adam Bluming has directed numerous award winning commercials and films with an off-beat sense of humor and an eye for beautifully dynamic imagery. He has recently completed “Jonna’s Body, Please Hold,” a dark comedy about cancer which premiered at Paramount, and is currently in development on a feature length project. 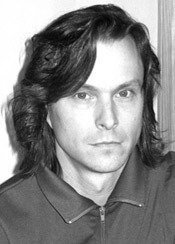 Bluming’s background includes 8 years of directing at Imaginary Forces (1996 through 2003), followed by numerous commercials and films he has directed for production companies throughout the U.S. and Asia. His unique approach to projects–mixing the humorous with the dramatically bizarre–has garnered him awards for his filmmaking from both film festival communities, as well as the commercial production world. His development and award winning direction of the film “Jonna’s Body, Please Hold” astonished audiences, as he took a one-woman show which existed on only a black stage and turned it into a cinematic, uniquely visual film. While he continues to direct commercials and edit much of his own work, he is also directing a series of experimental short format films in between projects. Through the years, he’s directed campaigns for Nissan, Cingular / AT&T, Coors Light, Nintendo, Tide, and Corning Fiber-Optics–as well as directing a special teaser shoot for Men in Black 2 and the opening prologue for Blade 2. He also served as faculty at the Art Center College of Design in Pasadena, CA from 2001 through 2004. Bluming’s professional honors include the Audience Award from the 2007 Asheville Film Festival, as well as awards and honors from the Rhode Island International, Everglades International and LA Shorts International Film Festivals. He has also been recognized and awarded for his work by the Art Directors Club, British Design and Art Direction (D&AD), AICP, American Center for Design, and AIGA. His work has been featured in ID Magazine, Metropolis, Idea, Graphis, Brain, Vision, +81, Idn Pro, DesignNet, and Communication Arts. I’d been looking for a script for a long time and hadn’t found anything that spoke to me in the way Jonna’s Body, Please Hold did, from page one. It felt like it was written for me. As a lover of dark comedies, the entire film seamlessly unfolded in my mind as I read each page of the script. Its tone spoke so clearly to me, its characters so in sync with my brand of humor, and its message so important–yes, laughter is the best medicine. But more importantly, even the smallest hair on our head can move mountains and push us to be our best–when everything else inside of us tells us that we can’t. As the son of an oncologist, this film had a very personal angle for me, as well. Growing up, I was constantly asked, “Are you going to be a doctor like your father?” I doubt I could ever equal in medicine the achievements that my father has, but in film, I smile when I think about the off-beat interpretation that I’ve been given the opportunity to direct – of my father’s profession and the way our bodies tick. I wonder what those same people who asked me that question years ago would say when they see this film. I don’t think they’d ever want ME to be their doctor……….but maybe they’ll let me treat them in theaters one day. 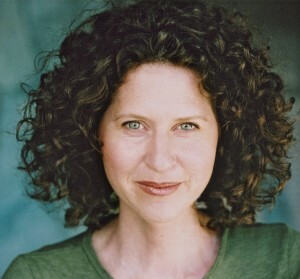 Melanie Lutz is a noted writer, director, producer committed to exploring the nuances and resilience of the human spirit. Influenced by childhood viewings of classic films through WWOR-TV New York’s channel 9, she became addicted to Billy Wilder, Ernst Lubitsch, George Stevens, The Three Stooges and Abbott and Costello. With a voracious appetite for books, a love of musicals and a formative screening of Taylor Hackford’s The Idolmaker the path was set for a young girl growing up near a dairy farm in Pennsylvania to tackle the arts. Melanie’s work uncovers quirky, iconic, indomitable characters, thinking, expressing, and exercising ideas. Ideas that promote discovery. She is completing a trilogy of works around the themes of death and birth and everything in between. Upcoming productions include Singledom, about giving yourself a happy ending and The Bare Melcessities, a musically influenced autobiographical investigation of getting back to the basics, based on her book of the same title. Her company, Always Alice, creates projects that bridge the worlds of art and commerce, meaning and media, all presented through an ever expanding inward lens of humanity and exhibition. Martin was raised in Sweden and would probably have followed some path relating to science if he hadn’t watched the Christopher Lambert movie Highlander when he was 14 years old. From then on he started making films, ranging from the short and violent to the long and tedious. After various studies such as Astronomy and Film Theory, an uncompleted military service and other life lessons, he headed to New York and the School of Visual Arts. Experimenting through at least 25 student films there as a cinematographer led to actual work when he graduated in 2000. He has since been shooting mostly commercials and music videos in places near and far, while still currently living in New York. With a Bachelor of Fine Arts (Photography) degree from the Art Center College of Design, Pasadena, Jesse Benson founded and served as lead designer of Alchemy Billiards, a Los Angeles based furniture design company that specialized in custom steel pool-tables and accessories. Clients included Tony Scott at Ridley Scott Associates, Erica and Emerson Glaser, Dean Factor at Smash-Box Studios, and singer ­ songwriter Everlast. After re-locating to Hamburg, Germany in 1993, Jesse began working as a Production Designer on music videos, at last able to utilize his two and three-dimensional design skills and experience, fusing them into a picture based hybrid design sensibility. Commercial work soon followed, sharpening his attention to detail and widening his project portfolio. Jesse’s production experience includes working in Los Angeles, New York, Detroit, Hamburg, Munich, Berlin, Cologne, Prague, Vienna, Barcelona, London, Mexico City and the Bahamas. Jesse is fluent in English and German. 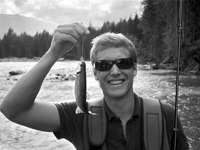 When not shooting, Jesse designs gardens and other landscapes for a variety of private clients in the Los Angeles area. 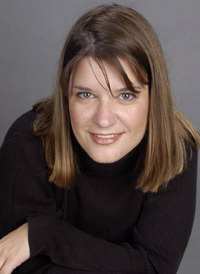 Lynn Brannelly has worked in film and television for 17 years. She received her degree in Fashion Design and Architecture and Interior Design from the Academy of Art in San Francisco. Lynn has designed for such clients as Intel, Kodak, Wilson, and Red Lobster. She designed the costumes featured in the Superbowl spots for Intel in 1996. Her Intel “Bunnyman” costume (worn by then CEO of Intel Andrew Groves for Comdex) is a permanent archive in the Smithsonian Institute’s Business in America exhibit and was featured in the 125th Anniversary of the Smithsonian and Business in America. Lynn has designed for TV shows including Dancing with the Stars, the SciFi Channel and the History Channel, as well as numerous feature and independent films. She is a single mother of three children who live in Salt Lake City with their father and stepmother. Lynn lives in Los Angeles as well as part time in Salt Lake City. She is a member of The Costume Designers Guild Local 892. Zack Nederlander grew up in Detroit, Michigan, where he suffered through the intense weather that kept him inside on computers all winter long. Taking this technological familiarity and pairing with his love for drawing, he studied Graphic Design in another freezing city at the Rochester Institute of Technology. Braving warmer climates, Zack finished his education in Georgia at the Savannah College of Art and Design, graduating with a BFA in Computer Art: Motion Graphics. Keeping to this now comfortable latitude, he moved west to seek his fortune in Los Angeles. There he found work as a freelance Animator and Compositor for several high and low profile companies around town. Since those early days Zack has since done compositing for films such as The Aviator and Superman Returns and has VFX Supervised many commercials and music videos, including Sean Lennon’s expansive video accompaniment to his recent album, Friendly Fire. Invited to join the Jonna’s Body crew by director and friend Adam Bluming, Zack discovered new challenges and exciting possibilities on what has been his largest project as VFX Supervisor to date, finding creative solutions to all the aesthetic, technical, and organizational challenges that handling almost 280 VFX shots demanded. The future holds a feature and several commercials for Zack as he further expands his roll in VFX, color and digital workflow. The years to come will find him expanding his company, Empire Studios, and falling into more exciting projects yet to be discovered. He lives in Santa Monica, CA, with the irresistible Daisy, who doesn’t know she’s a dog. Jeff Rona is a contemporary film composer, recording artist, and performer. The son of European immigrants, he studied music, art, and photography, but left school to pursue music as his life’s work. He’s composed for dance companies, theater productions, art galleries and contemporary concert venues around the world using both traditional musicians and cutting edge digital electronics. Eventually he worked as a musician, arranger, ethnic woodwind player, sound designer, synthesist and music programmer in Los Angeles and New York. Prior to establishing himself as a composer, he was closely involved in a number of technical aspects of electronic music, including the development of musical software and new instrument design, and was a leading figure in making MIDI a groundbreaking world-wide phenomenon. He worked as a highly in-demand musician on numerous film and records before landing his first solo composing project, scoring the acclaimed television series Homicide: Life On The Street for director Barry Levinson. Since then he has scored a number of other films and television projects with directors such as Ridley Scott, Steven Spielberg, Wong Kar-wai, Robert Altman, Steven Soderbergh, Mark Pellington, Stephen Hopkins, Jonathan Demme, Frank Darabont and many others. His projects have received numerous awards including Peabody and Emmy awards, and film festival awards around the world. He is a recipient of the ASCAP film and television music award. Among his album projects he recorded and performed as a member of Jon Hassell’s highly regarded group, during which he co-composed and produced the acclaimed City-Works Of Fiction record for Opal, now on Rykodisc. The group toured and performed with legendary producer/composer Brian Eno. He’s performed with the Eastern fusion ensemble Axiom Of Choice, and appears on their Narada records. In addition to his album work with Hassell, his music is also on the critically praised world-beat Transplanet series on Triloka Records, the electronica compilation Leaves From The Tree, and most recently appears on Elysium For the Brave, the newest record with Persian singer Azam Ali. Jeff has been chronicling his experiences in the film music world over the past several years in his very popular column in Keyboard Magazine, The Reel World. The column, which is also the basis of his major book on film music, is read by over 100,000 people each month.